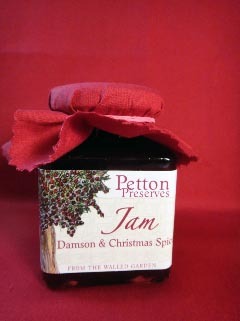 If it’s for breakfast, high tea or your child's lunchbox, jam is always a firm favourite! Whether it is sweet, spiced or sharp, we offer a flavour that will satisfy your curiosity. Runny or set, nothing added or taken away... This delicious nectar can be enjoyed in so many ways. 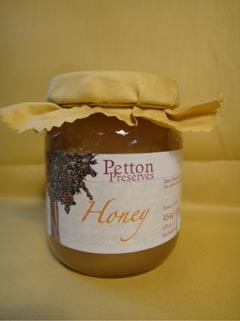 Slathered on toast or croissants, added to drinks, crepes, cereals and recipes, or simply enjoyed straight from the jar. 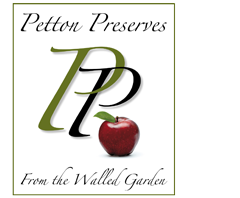 I set up ‘Petton Preserves’ after a long career history in Design and Marketing – working for large Corporate Companies and never spending time at home. Deciding to finally leave the rat race behind, I wanted to use the skills I had learnt over the years, but also do something I valued, in an environment I loved…..Where else but home at Petton in a sleepy hamlet in North Shropshire. I started trading in November 2012 at ‘Heart of England Fine Foods’(HEFF), in Shrewsbury. My products were very well received and my first orders were taken. Later that month, I entered one of my products ‘Carrot with a Kick’ Chutney in to the prestigious Diamond Awards – to my utter delight, I was to find out in January 2013 that I had been selected as a finalist in my category. So now moving from 2013 in to 2014 and beyond - a new life.....but a drive that will help me to succeed. Family, friends and industry partners have been so supportive and if not for them, I would not have known where to start...all you need is an inquisitive attitude, a voracious appetite for success - and you can do it!! 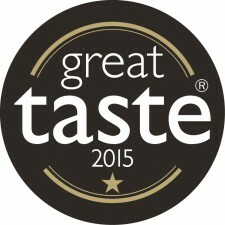 Going in to 2015, and with more confidence I entered my 'Carrot with a Kick' chutney in to the prestigious Great Taste Awards.....and they liked it! I proudly gained 1 star. Sadly 2016 was not a good year for me on a personal front, and I had to sell my beautiful Walled Garden, but was fortunate enough to be able to continue sourcing fruit from it from the new owners. 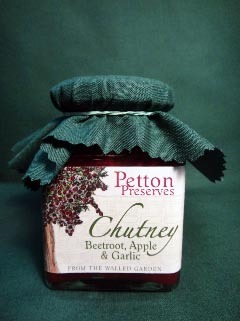 I went on to develop a new chutney 'Spicy Tomonion' which went down very well with both my established and new customers. Going in to 2017 it was high time I developed a new jam. So 'Blackcurrant & Lavender' Jam was born, and is proving to be a complete success.